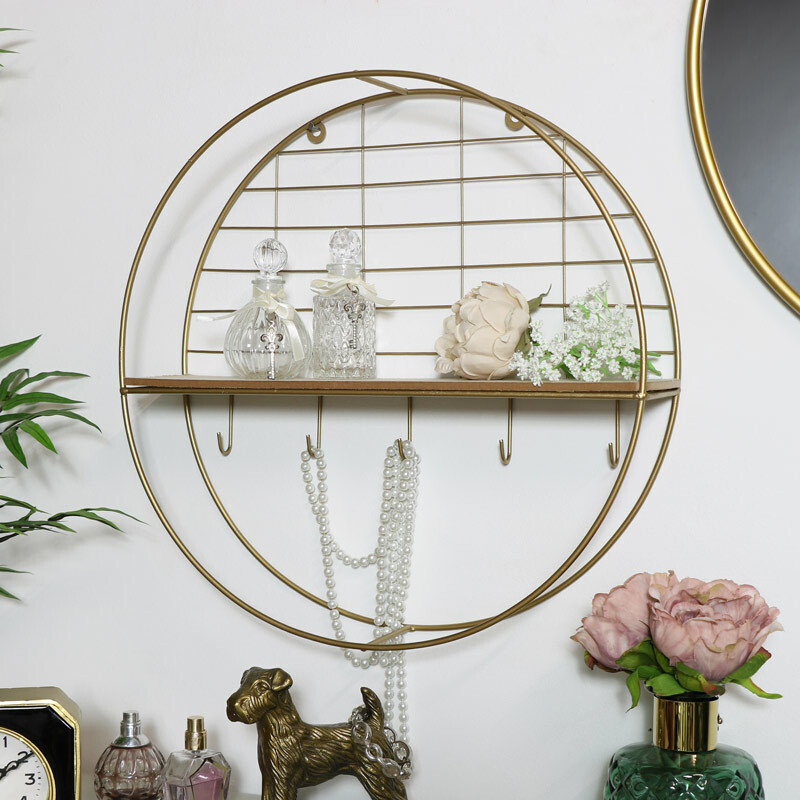 Store your items in style with this gorgeous Round Gold Metal Wall Shelf with Hooks. With its gold wire metal frame with single display shelf and hooks it is simply fabulous and will be perfect placed in the bedroom, bathroom or hallway. This is the perfect addition to any modern/contemporary style interior whilst offering a practical storage solution. 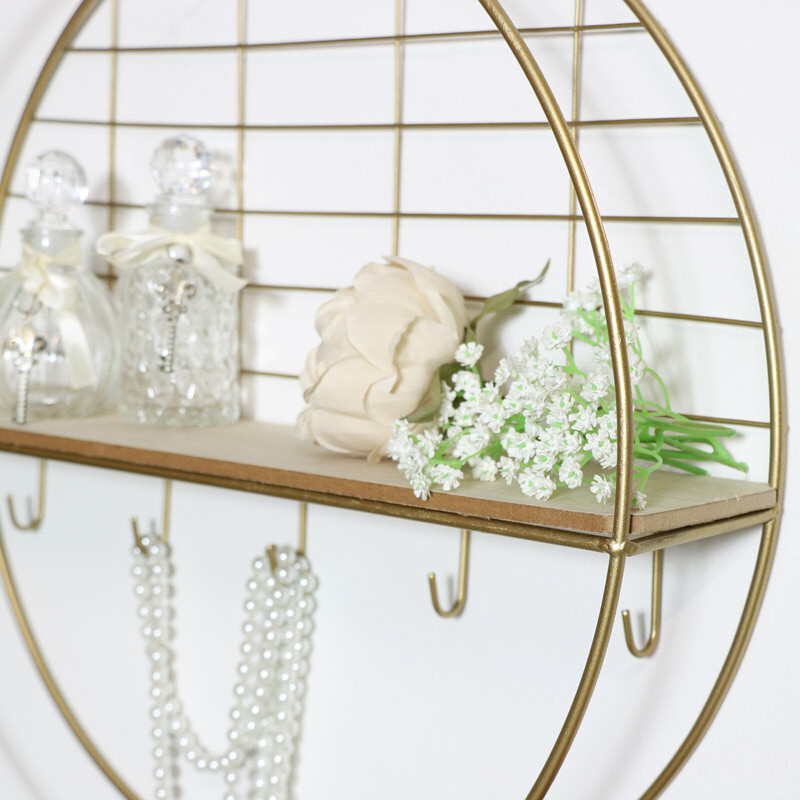 Gold painted wire metal framework with a natural wood shelf and 5 hooks below, ideal for holding keys or towels. We have a fantastic selection of wall shelves and shelving unit for you to choose from. Take a browse through and see what we have to offer with something for everyone in a great choice of colours, stayles and sizes.